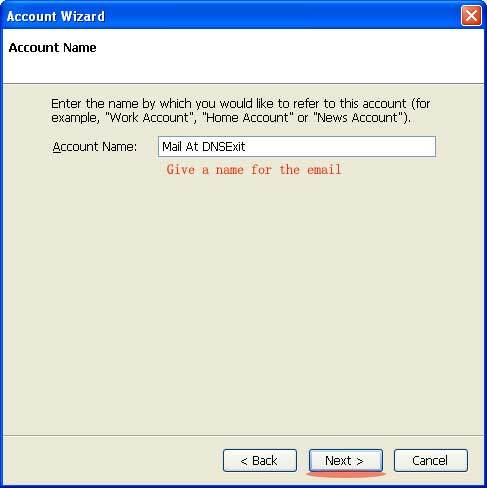 Go to "Tool" -> "Account Setttings"
Click on button "Add Account"
Enter your email address as the "Incoming User Name". 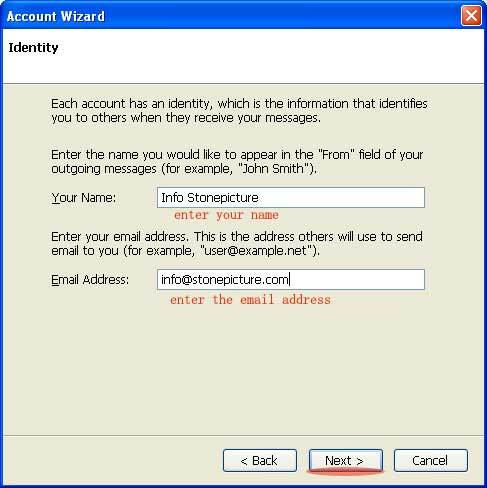 Give the email account a name so that you know what it is. Click on "Next" button to go to next screen and click on "Finish" to finish up the setting of the new account. 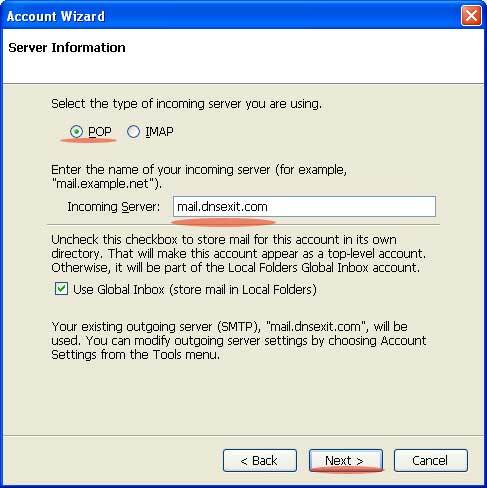 Now you have setup Thunderbird to receive emails from mail.dnsexit.com. 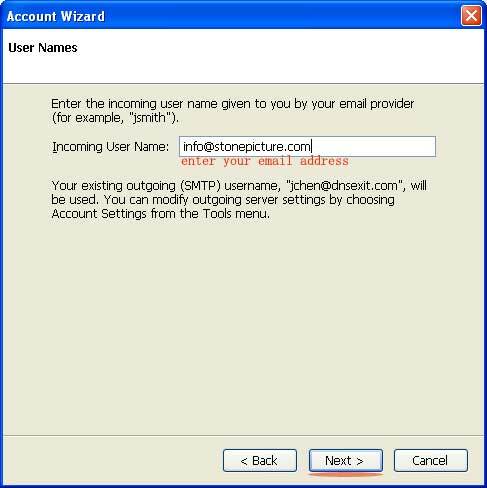 However, you won't be able to send emails through our mail server. 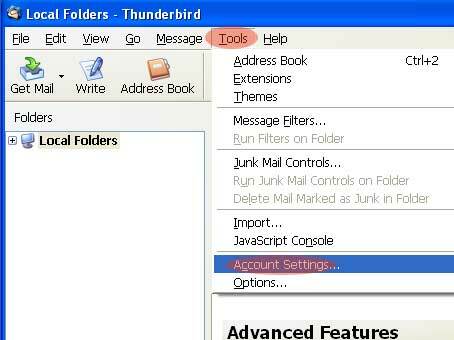 You still need to configure "Outgoing Servet" on Thurderbird so that it knows how to send emails. 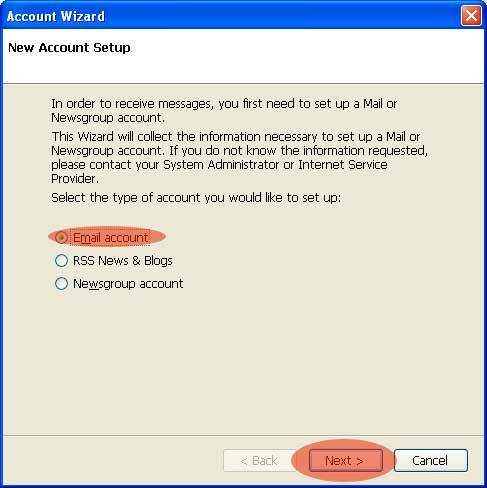 Go to the main meu "Tools" and select "Account Settings" to bring up the following account setting window. 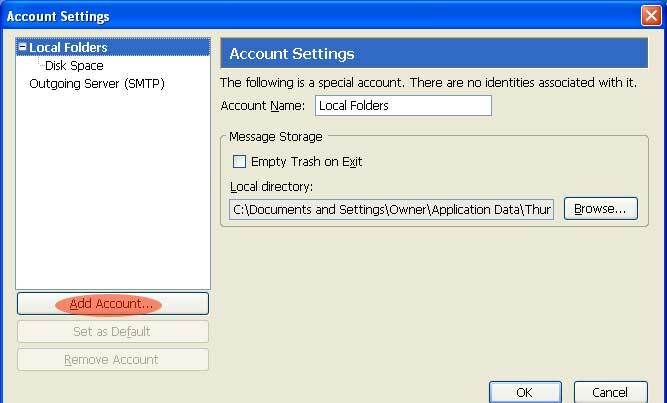 Highlight "Outgoing Server (SMTP)" and add an out going server for the mail client. 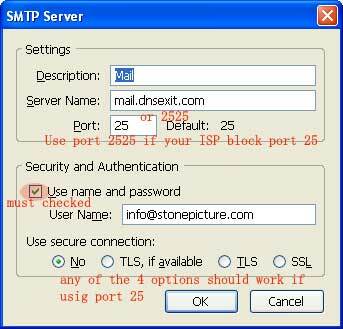 If you see response messages after the command, then the port should be opened; otherwise, it is blocked by your ISP.